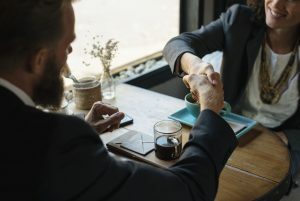 6 Scenarios You Should Address in Your Partnership Agreements - Portuondo Law Firm, P.A. Disagreements among business partners are common. It’s important that you take the time now (while no one is actually angry) to figure out what you’re going to do when this happens. Think through different scenarios where you and your partner might disagree, figure out what you will do to resolve your disagreements, and record the steps you will take to reach a resolution. 2. What happens if we still can’t reach a consensus? You and your partner strongly disagree, and there doesn’t seem to be much middle ground between you. Even though you’ve tried to follow your steps for conflict resolution, you just can’t come to a consensus on this issue. First, imagine what these issues might be. Next, research how others have solved similar issues peacefully. Talk through possible solutions with your partner. If there seems to be a good idea, write down the steps you will take to resolve your issue. For example, maybe one of you will get to have the final say on day-to-day management and the other will control long-term decisions. However, if you are unable to figure out how you will resolve this potential situation, ask your lawyer for advice. He or she should be able to offer suggestions. This is also a great opportunity to think about which decisions need to be unanimous and which can be approved with a majority. Take the time to be very specific on your partnership agreement, and you’ll be rewarded in the future when these situations arise. 3. I do more for this business. Before your business begins, it’s important that you and your partner define your roles. Be very specific about who does what. In particular, you want to make sure to address the division of labor and how much money is contributed by each partner. By taking the time now to divide the work and the funding, you should avoid the feeling that one person is contributing more than the other. 4. He or she is always taking money. Once your new business starts making money, it’s time for the business owners to be paid. Create a plan for how you want to divide your profits and discuss any potential salaries. Take the time now to outline your solutions to any potential financial issues. 5. My partner is sick or dying. When you’re creating your partnership agreement, it’s best to consider all potential situations. For example, what would you do if your partner got sick or died? Figure out how the company should proceed and include that in your finalized agreement. Although it’s unpleasant to think about at the start of your business, it’s possible that there will be a point in time where one of you may want out of the business. Outline the necessary steps, and make sure to include them in your finalized agreement. As this article demonstrates, one of the most valuable aspects of a partnership agreement is conflict resolution. It is inevitable that issues will arise and partners will disagree, even when those partners are friends or family. Many clients think they don’t need a partnership agreement because the person they are going into business is someone they trust. However, I strongly feel that these instances truly need a clear, memorialized agreement between the partners in order to maintain the relationship throughout the ups and downs of running a business together. A strong partnership agreement will not only help keep your company afloat, it will help keep your most important relationships intact. The best way to ensure that you have a thorough partnership agreement is to work with a business lawyer to craft it. Business lawyers know what to include and might be able to ask you additional questions to help create a stronger document. 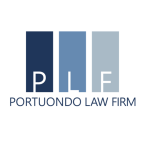 If you are creating a partnership agreement in Florida, contact Portuondo Law Firm to help. We are ready to help you and your partner create the strongest partnership agreement possible. Give us a call today at 786.440.8615 or contact us online to find out more about how we can help.